A woman who, after learning what she loved to do, came back to her Georgia roots. She and her husband established 3 Porch Farm in their effort to create this beautiful sustainable reality. She has brought love, food, and flowers to her locals - that’s why we have made her one of our very own Farm Stars. Music: African inspired, old country, hip hop – volcano choir is what I’m listening to right now. Food: Yogurt, granola, fresh fruit if available, and ice cream. Drinks: Hot black tea with cream and no sugar. Blue Jeans: Goodwill jeans, but still looking! Thing to do AFTER work: Sit on the porch with Steve, my husband, look out to the farm, appreciate, craft, and brainstorm. The furthest I've traveled is Wahka, Mexico. I’d like to go to Greece, Italy, and Ireland (my husband is Italian and Irish, my family is Greek). The fact that money is needed to run a farm is a reality. We are not into farming for money; it’s more of a lifestyle. We don’t want to be buried in debt, so we’re cautious about our money. We're not over spenders, but we're not trying to be rich. The fact that money is needed to run a farm is a reality. We are not into farming for money; it’s more of a lifestyle. Through college I had a hard time deciding a major. I wanted to work outdoors, but I didn’t know exactly what that meant. I went through three major changes before finally deciding on horticulture; I had a passion for environmentalism and sustainability, and they became cohesive with each other. I worked with a local organic farmer and fell in love with it - the desire to work outside and to live a sustainable life. Investment. I didn’t want to rent, so it took about four years to find and afford what we wanted to grow and what we thought was needed at market. We were looking to compliment the market instead of compete in it. We were looking to compliment the market instead of compete in it. How amazing our community is and how supportive of the farming lifestyle they were. We are constantly taken aback by how supportive restaurants and customers are. It blows us away and holds our spirit together. Tell us about what you do on the farm; when does your day start and end? We are not the earliest of risers – we are generally up at 6:30 and out by 7:15, but it depends on weather. At 7:15 we go harvest whatever needs to be harvested before the heat hits, then we transplant, water, and harvest until eleven or twelve, then take a lunch break. Then we go to our crazy kitchen to work, do daily tasks, and check email. In the evening we go back out, weed, harvest, and transplant, then come in at dark. It’s hard separating work from passion! It’s hard separating work from passion! When it’s not too hot. When our animals and plants are healthy, and when we can get our list checked off. I like growing new flowers and experiments, harvesting our first organic peaches. A lot of computer work and irrigation. Today the main pipe cracked; it's like taking two steps forward and one step back. We'll be on a roll, then something happens. There’s no controlling the weather or the environment. Know that and do your best to accept it. People think it’s a simple life that they want to do when they retire. People think there’s a white linen dress and fields of wild flowers, but really it’s a down and dirty job. Do something different than what other people in your market our doing. Focus on niche markets, explore the value, and find something you’re really curious or passionate about. Explore markets thousands miles away, don’t just do research within your own market. Compliment, don’t compete; customers only have a certain amount to spend, so do something different. There are so many outlets to explore. Enhance the market - make more surprises. Compliment, don’t compete; customers only have a certain amount to spend, so do something different. Know your farmer. Do farm visits. Teach your seasonality, you’ll get excited for what’s in season. Also, farmers markets are rain or shine; put your rain coat on and come support your farmers! I’m really excited about the future of farming. There are more young farmers getting involved and a lot of passion and opportunities; folks who own a lot of property are looking for people to farm it. The whole world is experiencing it. More and more, we are becoming aware of environmental damage and I hope were going to start healing. I’m really excited about the future of farming. 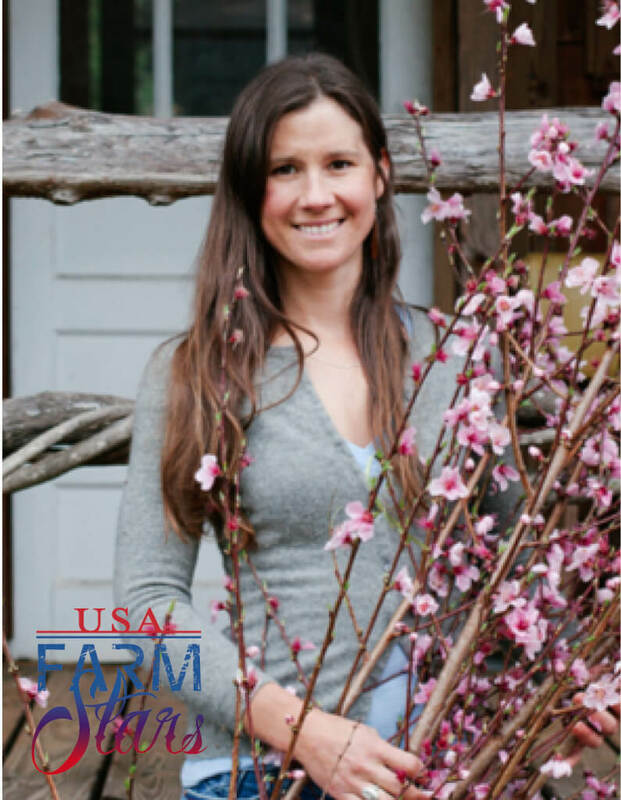 There are more young farmers getting involved and a lot of passion and opportunities; folks who own a lot of property are looking for people to farm it. The whole world is experiencing it. We will be here, maybe not as spread out. Right now we do veggies, orchard flowers, and mushrooms - each year we keep narrowing in. We hope to do more weddings and events, and educating people about flowers, organic, local, and US grown flowers.